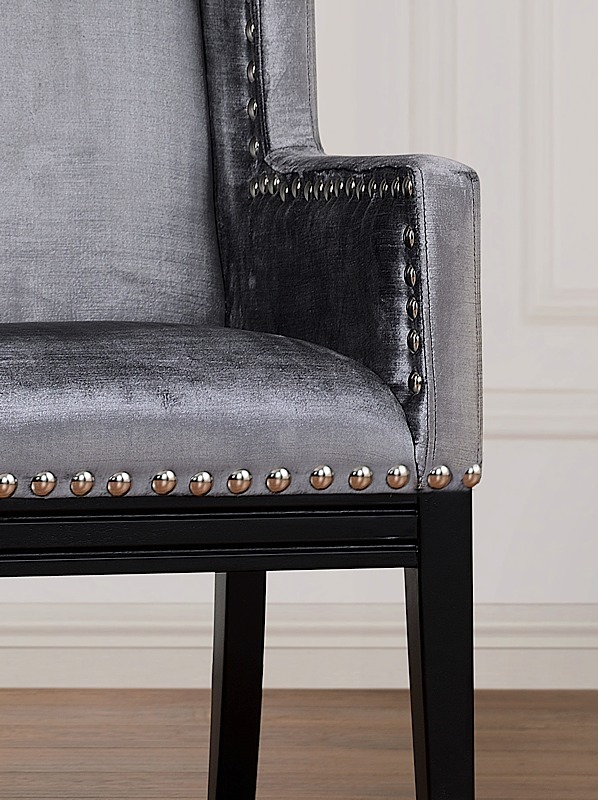 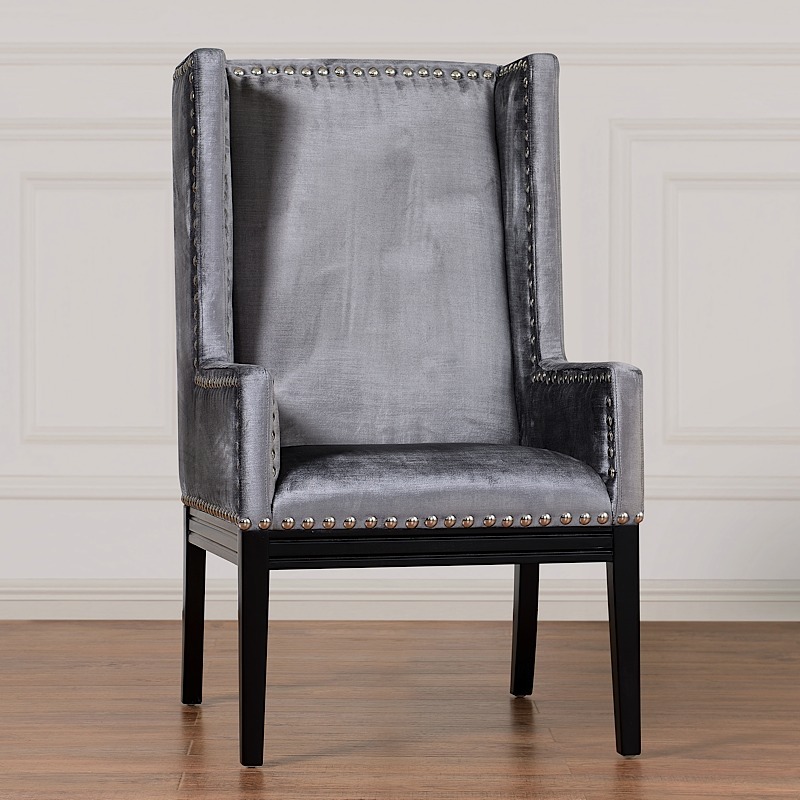 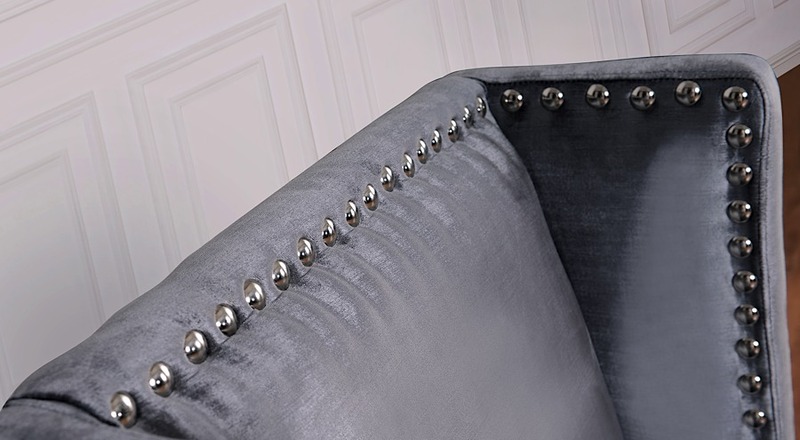 Our popular chic Tanner chair can be used to accent any room. 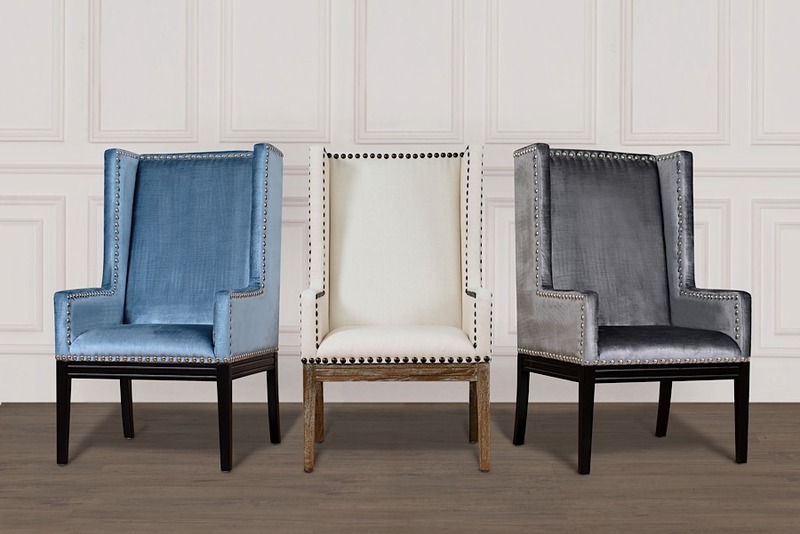 These solid chairs are handmade and feature a kiln dried wooden frame. 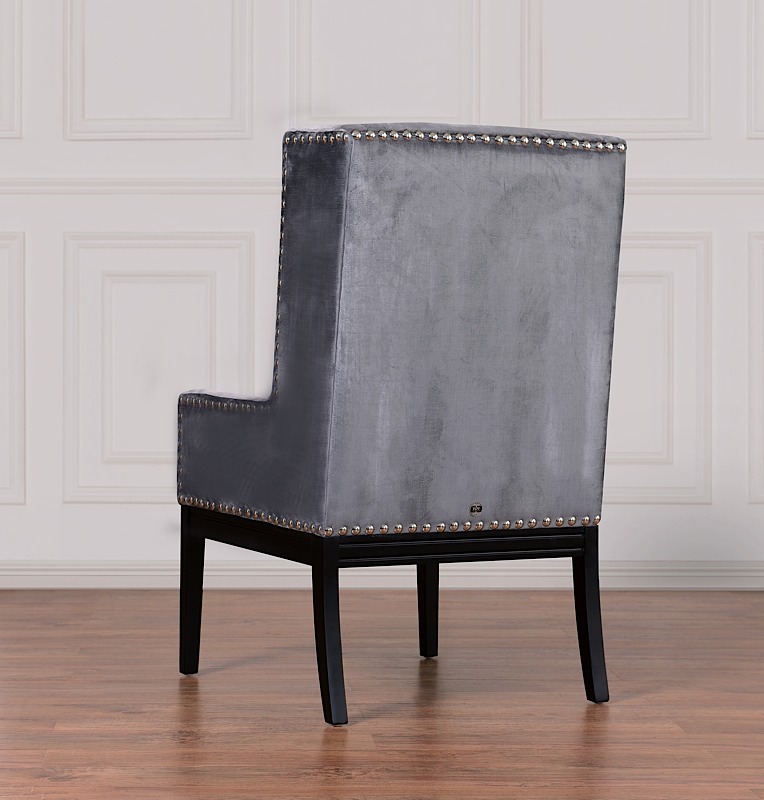 Easily adaptable, the Tanner Chair can double as a dining chair to compliment your creative spirit. 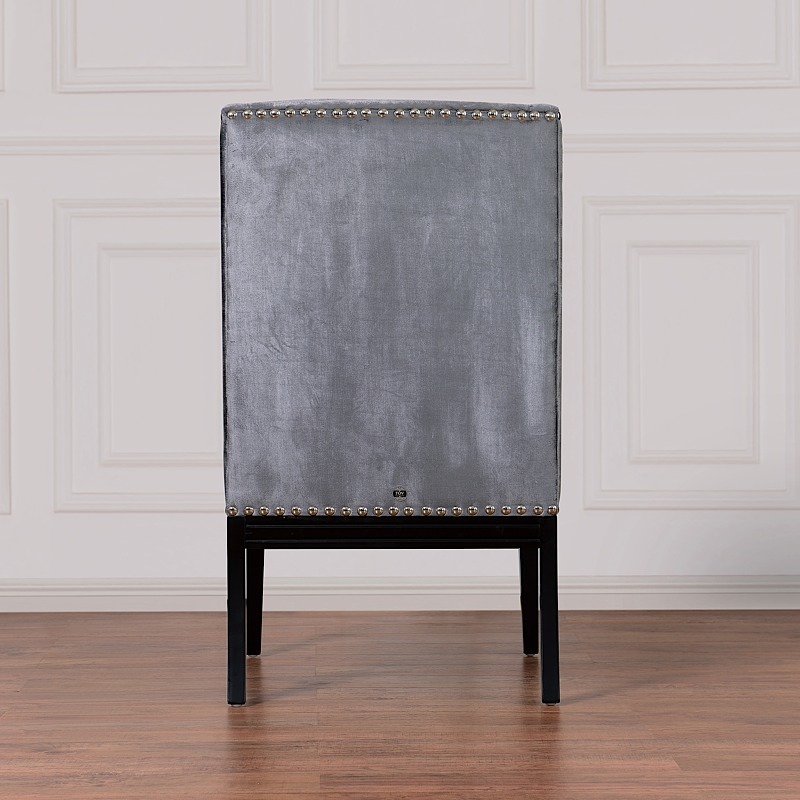 Now available in grey or blue velvet, or beige linen with hand applied nail heads and reclaimed oak legs or black wooden legs. Ships fully assembled! 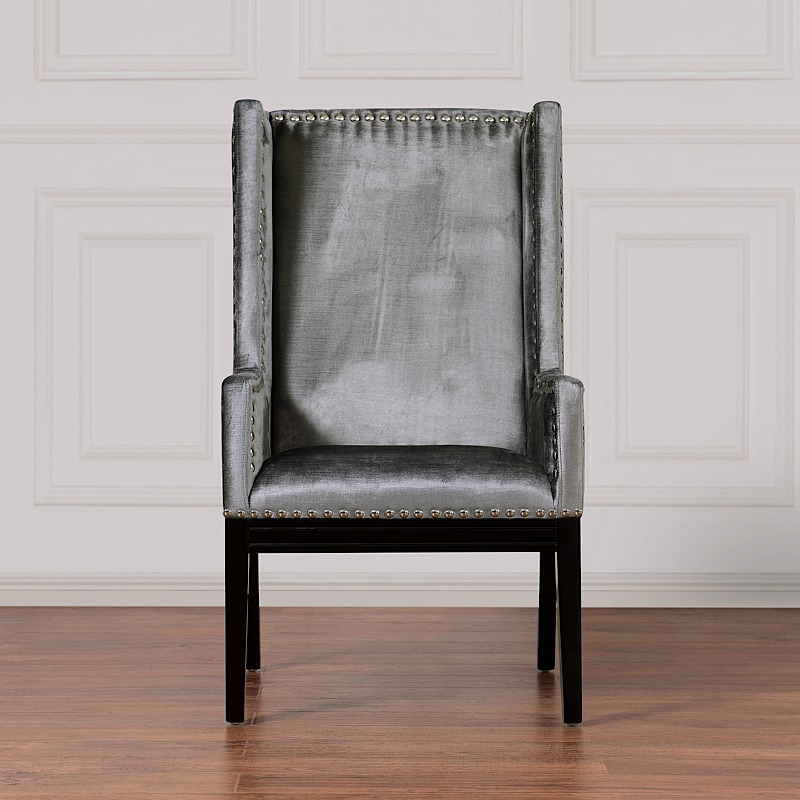 Tanner's quality makes this chair suitable for commercial use as well as residential use.